A New Moon means a New Month! Tonight begins the New Moon Observance – this is the Hebrew ninth month of the year. Tags: bible, blacks, elder Yachov ben israel, Halleluyah, Hebrew Israelite, NCCI, new moon, Yahshua, Yahweh, YHWH | Permalink. The following will be the dates that are to be observed as the Holy Days in the Gregorian calendar year 2017. The bible dictates that we keep these days in their season upon their days. Therefore, we should govern ourselves accordingly by ensuring that we make arrangements with our employers to have the days marked as Sabbaths off as commanded by the Laws of YHWH (Leviticus 23). The Holy Days will begin at evening (after sundown) on the dates listed and continue through the next day and end at evening. 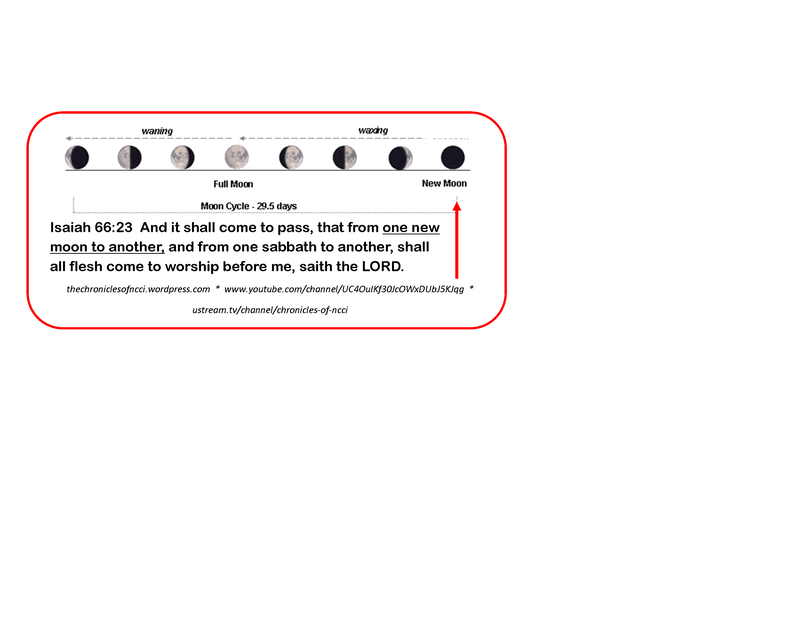 Again, for Holy Days which are Sabbaths that begin at sundown, we need to take the next day off from work. We must govern ourselves accordingly for all the days listed as Sabbaths below. Tags: Abib, bible, blacks, elder Yachov ben israel, Halleluyah, Hebrew Israelite, Hebrew New Year, NCCI, new moon, ten commandments, Yahshua, Yahweh, YHWH | Permalink. Thanksgiving is not the patriotic holiday that we are told about. Thanksgiving is just another pagan festival that is celebrated all over the world. In America, the turkey has become the sacrifice of choice. 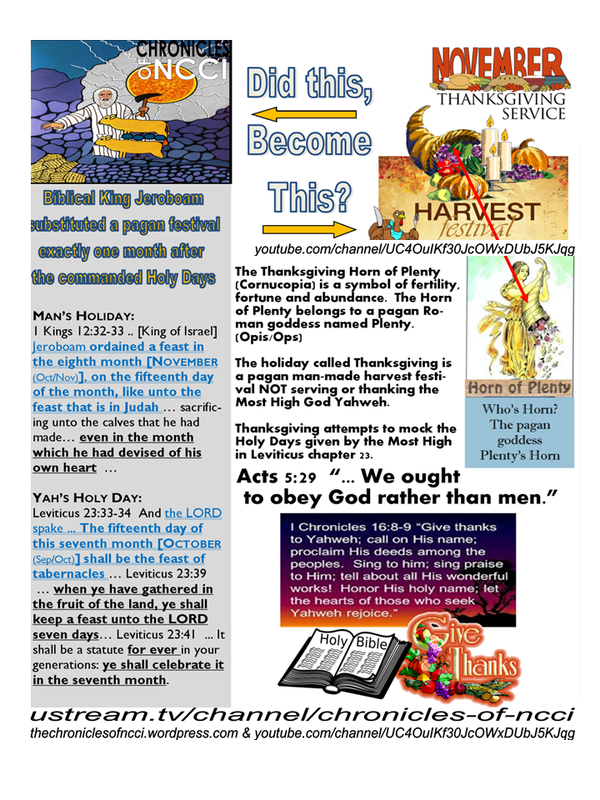 Follow this link to see a listing of Harvest Festivals world-wide: http://www.wikiwand.com/en/List_of_harvest_festivals. Tags: ancient Roman History, elder Yachov ben israel, Feast of Tabernacles, Halleluyah, Hebrew Israelite, pagan holidays, paganism, Yahshua, Yahweh, YHWH | Permalink.